Resolution is worth mentioning because it causes so many problems in the prepress department. Any image you want to print must be a minimum of 300 PPI at 100% of its actual size. If you pull an image from a website, and it is 4 in. x 4 in. and 72 PPI (the typical web resolution), when you place it in your page layout, it must be sized to 24% of its original size or .96 in. x .96 in. in order to be at the correct resolution for printing. There is absolutely no way to take a low-resolution image and make it look like a high-resolution image. Interpolating a file to a higher resolution makes the image look like an image that was interpolated up to a higher resolution to improve its appearance. One low-resolution image can make a whole brochure look cheap. Make sure all the images you provide are the correct resolution for their output size. Here I have pasted three different file sizes of the same image. I adjusted their dimensions so they would each be about the same size “on this page”. Below each fish pic is the Adobe Photoshop screenshot showing the image “dimensions” in pixels and inches. You can decide for yourself which image looks best. On the web it is not necessarily about looks, there is also the loading time and the number of colors used to display the image. That will be covered in a later post.Below are the same three photographs, all placed at the same size into an InDesign document. Then I exported the document as a jpeg at a screen resolution of 72 PPI. By building this image in InDesign I am able to show you how a low-res file that looks bad on the screen will look like that in print. PDF: for high-resolution printing when properly saved with embedded fonts and bleeds, etc. PNG: for more image depth. 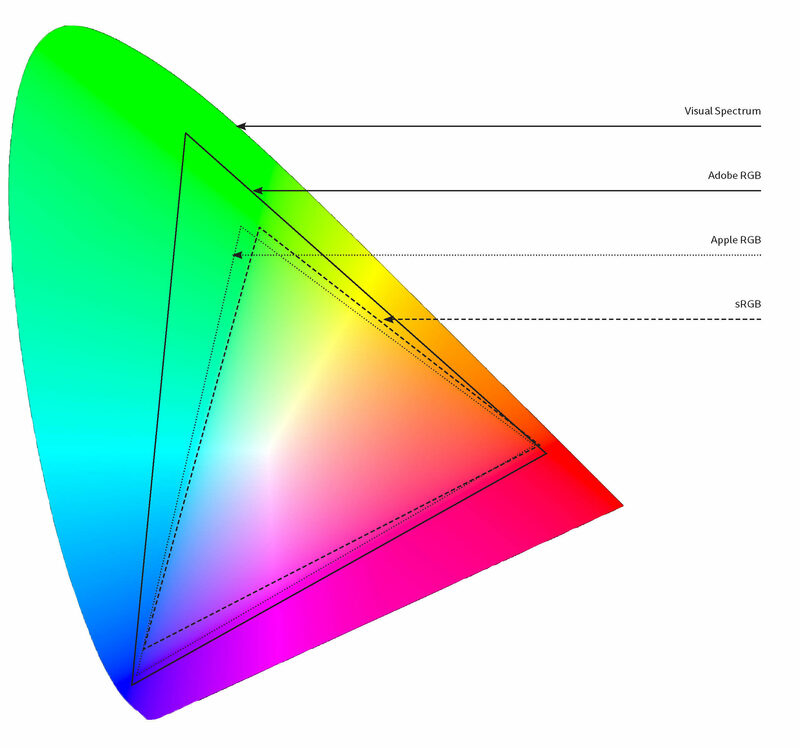 The trade-off is its large file size, no CMYK: RGB only. Don’t use image compression unless you absolutely have to. Every time an image is compressed (when it is saved) and uncompressed (when it is opened), it rewrites the data in the file and leaves little artifacts/noise in the image. Compression is left over from the days when a 44 MB (yes, that’s MB, not GB or TB) Syquest drive cost $200. Nowadays, storage is cheap. Compression works well for the web, but it isn’t necessary for anything else. For example, Tiff files and images are not compressed. Jpeg files and images are. Here is an example of how to save a TIFF image without compression. If you have had an experience with resolution or file types that you found helpful, or from which you learned, please share it below. Thanks! Designing for digital printing is similar to designing for offset printing. The disadvantages of digital printing (compared to offset) can be handled easily in the design stage. And the advantages you can plan into your design from the beginning, isn’t that easy and awesome?! Short-run—No minimums! You can just order one and you may be surprised to know that digital printing can be cost-effective for a quantity up to 5,000 depending on the size of the finished piece and the number of inks needed. Versioning and personalization—Versioning uses variable data to customize the printed item for the recipient. For example, a brochure mailed to a woman might feature a photograph of a woman on the front, while the same brochure sent to a man might feature a photograph of a man. Personalizing can be more than simply inserting the recipient’s name in a letter. It can also be about telling Suzie that her particular make of car is due for service or sending a letter to Frank with a personalized message that his heating system is due for duct cleaning. If you are thinking of customers that would love to have these features into their marketing campaign, but you and they do not have the database expertise, don’t worry. All you need to do is look for a printer that does mailing and they will help you integrate your clients’ marketing with versioning and personalization. Some digital presses can print on transparent media and even lay down white ink, now that’s incredible! Solid areas looking blotchy, there are some workarounds we will discuss later. Not all printing papers will work. Metallic papers, super thick papers, it depends on what kind of press your printer is using. Difficult, if not impossible to apply finishing processes that require exact registration, such as foiling or embossing and coatings such as varnishes or AQ. Don’t expect match color from one print run to the next. The majority of digital presses are toner/dry ink based, but also include liquid ink digital presses. Large-format digital printing, which is only inkjet (i.e., liquid ink), will be described in a separate post. If you have small type in color, make one color at least 100% (the same as for offset printing). When knocking-out type from a background that has a screen build of multiple CMYK colors, make sure that the screen build has at least one color that is set to 100%. This helps the type look cleaner. Minimum 1200 dpi for line art. If you use a large solid-colored or tinted area in the design, ask for a sample or test from your printer. If you are not 100% happy with how the sample looks, get suggestions from your print provider on what technique will work best to achieve the look you want. Sometimes changing the screen percentage or adding a texture can improve the appearance of the solid or tint. Know the size limitations of your print provider’s equipment before you start designing, especially if your job involves scoring. When building a gradient to create a gradual transition of color, for example from black to white, set the “white” part to 0% black, not white. Check with your vendor before including metallic paper, or imprinting a shell with a metallic ink, or foil stamping, in a digital project. Most digital presses cannot print on metallic paper or imprint on paper that has a metallic foil-stamped element in place. Do not use type below 8pt in the file. Do not apply a color to type that has less than 100% of one color, e.g. 80% cyan or 40% yellow. 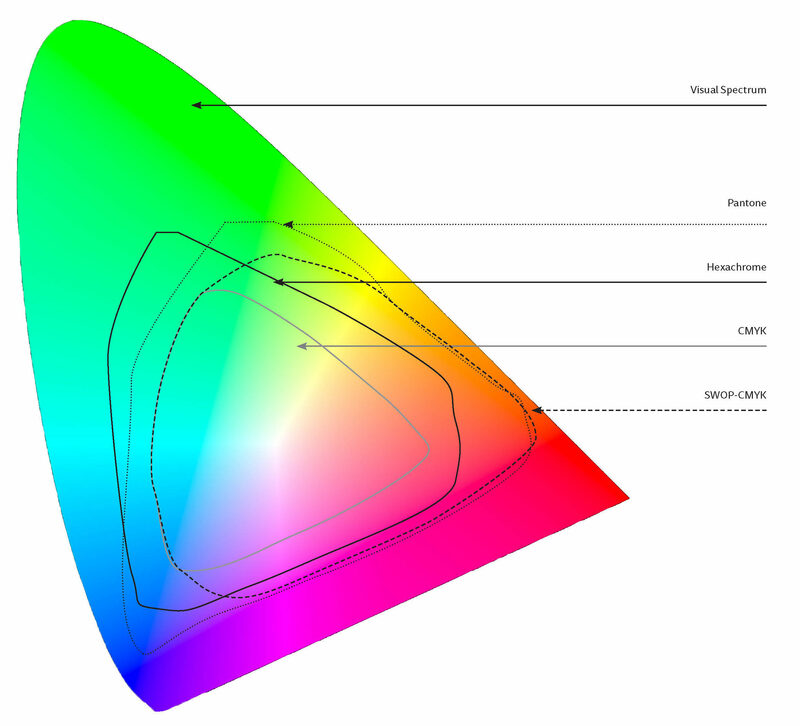 Do not have large areas of solid color unless at least one of the colors is 100%, and even then that could be risky. Do not build rich black in your file if you want a rich black. 100% black is the densest, darkest black on a digital press. If you want a black that shifts to red or green, for example, then use a CMYK formula. Do not have large areas of tint color. If you do, then you can expect banding, splotching, and general unevenness. Make sure that any lines/rules are set to an actual width and not “hairline.” Avoid rules under .25pt. 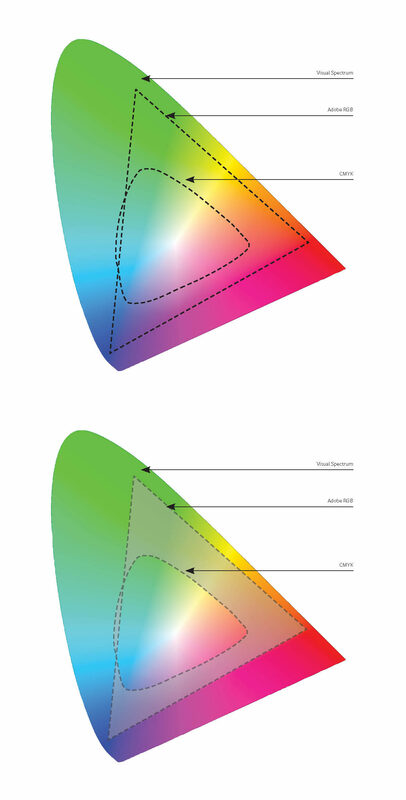 Do not convert RGB (Red, Green, Blue) images to CMYK. The look-up tables in your print provider’s RIP are specifically designed for their digital inks and their particular digital press. Do not use the look-up tables in Photoshop or InDesign, which are designed for lithography inks. Do not place a score through an area of solid ink coverage. Dry ink or toner is especially brittle and difficult to fold without cracking. Do not use a digital shell for imprinting in laser printers—unless the digital shell was printed on a laser-compatible device. The output from some digital presses will smear in a laser printer. A. Your print provider has digital equipment that can use a spot ink/toner (this is uncommon, and there may be a hefty surcharge to get a digital PMS on your job). B. Specify a Pantone color with the knowledge that it will be converted to CMYK or CMYK plus additional hifi colors such as orange or green, and let your print provider’s rip do the conversion; its look-up tables are superior to what you would specify from a Pantone selector or library because they are designed for the press manufacturer’s inks/toners. If you have a client with a substantial amount of digital printing and the branding includes a tricky Pantone color, ask your print provider to work with you on specifying a digital CMYK equivalent that your client will be happy with. This might involve some extra tests but is worth it in the long run. Some digital presses that are dry ink or toner-based leave a film over the entire sheet that is very difficult to write on with pencil or pen making it impossible to use for forms that need to be filled out manually, and labels or adhesive may not stick. Do not include die-cutting, embossing, or foiling in a design that will be digitally printed. This image shows the same page printed on two different digital presses. In the center is the Pantone Bridge selector showing the PMS and CMYK equivalents for PMS 647. It’s difficult to make this really clear online… but you can see that the print on the right is slightly more red in both the solids and screen tints. The page on the left rendered the solids and screen tints ever-so-slightly less smoothly than the page on the right. There are slight differences as well in the way the type was imaged on both pages. The moral of the story is, today’s digital presses are all very, very capable presses. They are designed to have different strengths than sheetfed presses. Comment below with digital printing surprises you have experienced. I would love to hear about them!